Most people know that one needs to work in order to see good things come about. Well, maybe fewer people see it these days than in other generations, but it is clear that one cannot expect to get things without some level of work. Of course, everybody knows that. I do too. Yet, I find in myself the problem isn’t the desire to avoid work, or to sit idly, or to stay in bed too long in the morning. No, the issue I find is that I have so many small things I can do or focus on that will take me away from real work. Some of it even masquerades as meaningful activity while actually being largely valueless, or worse, is of value, but of little value compared to the time you find yourself putting into it. It’s like how a mighty river can be largely dried up by a series of small irrigations taken from it. 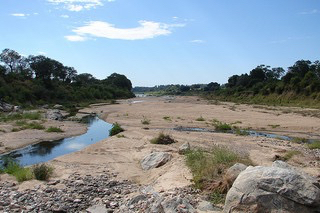 No one person is making a big dent in the amount of water passing by, but when hundreds, thousands, or more people all take water from a great river, the result is that all the water is used, and at the end, none is left. Time is like that. No matter how much time it looks like we have, it is dribbling away at a constant rate, and will eventually be all used up. The question is whether we will use our time while we have it, and we will use our time, it’s flowing by at a constant rate. The question is what we will use it for as it flows by. It is not simply that we must work so that we may be rich in this life (as is no doubt true), but that we must be careful to choose the best things for our time so that when all time has run out, we might be rich in the wealth that truly matters: God. (Book Review) Nancy Pearcey trains Christians to think.